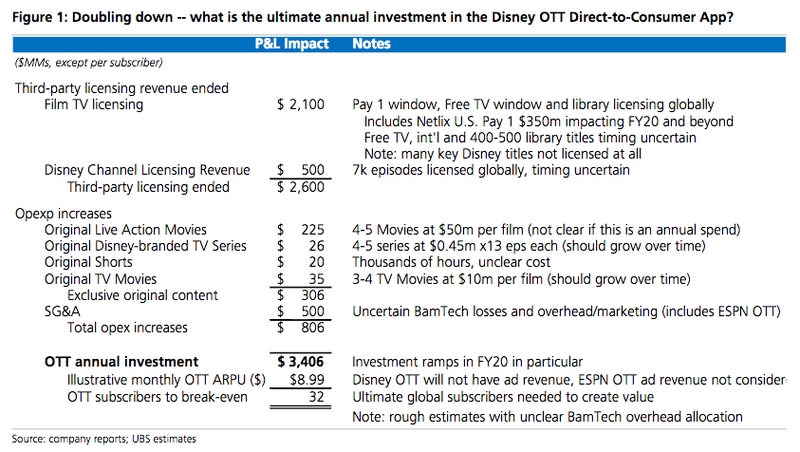 The war over your streaming video dollars is ramping up, and Disney is going to have to make major subscriber gains to break even after charging headlong into the fray, according to new analysis from UBS. On Thursday, Disney CEO Bob Iger announced that Marvel and 'Star Wars' movies would appear on Disney's upcoming Netflix competitor, a streaming service that will debut in late 2019. The service will also include Disney and Pixar films, as well as exclusive content to the tune of 4-5 live-action movies (already in development), 4-5 TV series, and 3-4 TV movies. All that is in addition to a back catalog of 400-500 movies and around 7,000 episodes of TV. In short: It's a ton of content — and expensive content at that. 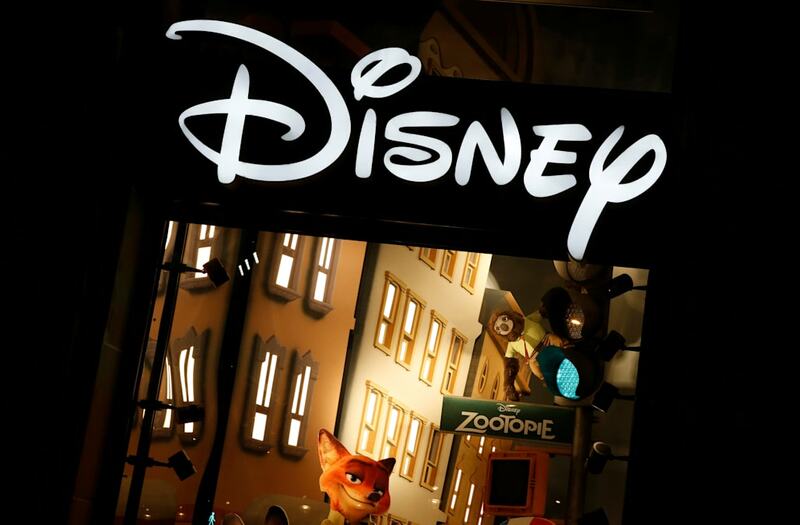 This means Disney will be making a substantial upfront investment in the new service, and as a result, will need to show impressive subscriber numbers to please shareholders. This investment is "both intriguing from a build the future growth of the company perspective, but also daunting in terms of the amount of lost third-party revenue," UBS analysts led by Doug Mitchelson wrote in a note distributed Friday. UBS pointed out that Disney's film TV licensing alone is worth $2 billion a year, and that its streaming licensing through services like Netflix is worth approximately $500 million. That's a lot of ground to make up. How much ground? "Disney will need 32 million global subscribers just to break even at $9 per month," UBS wrote. Disney may own the most compelling intellectual property on the planet, but 32 million subscribers is still a high bar. Earlier this year, Netflix crossed the 100 million global subscriber mark. But it's the outlier in the streaming industry. HBO Now, the company's streaming service, was at around 3.5 million subscribers (including add-on subscriptions from places like Amazon) this summer, according to the Financial Times. CBS CEO Les Moonves said his company's streaming services, CBS All Access and Showtime, would combine for over 4 million subscribers by the end of the year. Those kinds of numbers make Disney's task seem like a tall order. UBS, however, has some faith. "While [32 million subscribers] is not a stretch at all given our bullish expectations for the growth in the SVOD [streaming video] marketplace globally, it certainly creates greater EPS [earnings] uncertainty for the next several years during a period where investors are already nervous about secular trends for ESPN."